corporate event or party, look no further than Jason Jackson. or if there is something specific that you need please let us know. This includes Jason Jackson with your choice of either 2 or 4 professional back up dancers. With 5 costume changes, and on request – bringing up members of the audience at the end of the show to bust some of Michael Jackson’s most famous moves. To book any of the packages above we require a 50% deposit for confirmation of your booking. We will then confirm your booking via email. We assure you that your friends and family will be extremely happy with any of these performances, keeping Michael Jackson’s legacy alive we promise to give a memorable show that you will never forget. 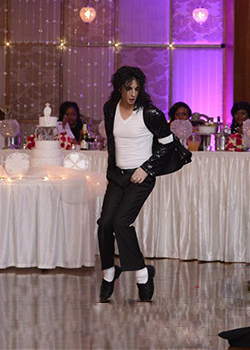 Jason Jackson is Australia’s #1 Michael Jackson tribute artist.